Provide comfort for the family of Miranda Griffith with a meaningful gesture of sympathy. 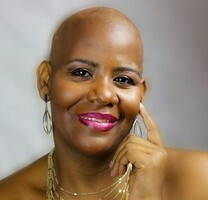 Miranda Rochelle Griffith, 36, of Hattiesburg, passed away on April 1, 2019, at Asbury hospice House. She was born on October 24, 1982, to Earl Lee and Stella Griffith in Hattiesburg. Miranda is preceded in death by her father and one brother, Keifird Griffith. She is survived by her three children: Zadrian Smith, Aaiden Broch and Trinity Griffith; her mother; seven siblings: Deanna Griffith, James Griffith, Wykedrell Lee, Sheila Lee, Reginald Lee, Kent Lee and Alfred Adams; numerous nieces, nephews and cousins. Visitation will be Sunday, April 14, 2019, at Shady Grove Baptist Church 2:00pm with the service to follow at 3:00pm. Interment will be at Shady Grove Baptist Church Cemetery. To send flowers in memory of Miranda Griffith, please visit our Heartfelt Sympathies Store. We encourage you to share your most beloved memories of Miranda here, so that the family and other loved ones can always see it. You can upload cherished photographs, or share your favorite stories, and can even comment on those shared by others.